Tennessee may not be south of the border, but that doesn’t mean you can’t find an epic margarita. This classic cocktail is a favorite for several reasons: they’re icy cold, they’re the perfect balance of sweet and sour, and you can get them just about any way you like. 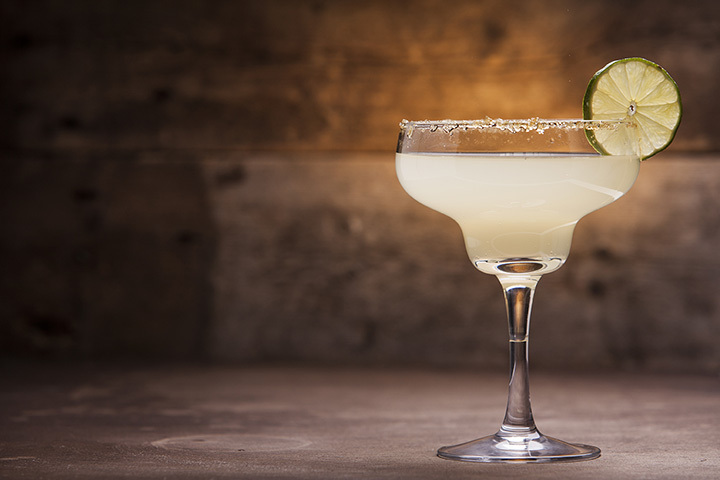 Whether you like them on the rocks or frosty frozen, with sugar or salt and a lime, traditional or fruity, you’ll find the best ones at these 10 places for Margaritas in Tennessee. Three locations means three times the margaritas, and you’ll want to try every single one. Touted as the best margaritas in the Nashville area, it’s hard not to agree. They also offer a cozy, relaxed environment to enjoy them in, along with televisions and a killer food menu that will complete the experience. You won’t find any pre-made sour mix here! They hand-make all their margaritas from scratch and combine their ingredients with premium tequila, and you’ll appreciate the difference. In fact, they offer 80 different types of tequila so you can craft your own unique flavor to your liking. Margaritas in mason jars—it doesn’t get any more “Tennessee” than this! They have several types of tequila to choose from to give you that unique flavor you crave. It’s also home of the Margarita Bong, a drink of epic proportions that’s nothing short of adventurous. This quaint, low-key Mexican restaurant has some of the best prices on margaritas you’ll find anywhere. Every drink is made fresh to order your way. You can tableside or on their alfresco patio. They’ve taken this classic drink and given it more ways to enjoy than you can imagine. Specials like their Watermelon ‘rita and spicy Mezcal ‘rita are just a few of the inventive flavors you’ll enjoy. Of course, there’s always the classic option for those who aren’t feeling too daring. No matter how you order, you’ll love the fiesta-like atmosphere that makes every day feel like a party. Three locations in Tennessee are three perfectly good reasons to go grab your favorite flavor of margarita. In fact, they have one of the best lineups of ‘ritas you’ll find anywhere, including fruit- and Corona-infused variations. Whatever you order, you just can’t go wrong. As the restaurant’s only footprint in Tennessee (the other three are in Alabama), this favorite Mexican food venue is ideal for margarita lovers. Choose from classic or frozen, top shelf or house, or make it a swirl with a shot of fruit flavor. Each one is a generous serving that’s sure to satisfy. This multi-location restaurant features three venues in Memphis to get your margarita on, each one like stepping into Mexico itself. They’ve got one of the most extensive menus of margaritas you’ll find anywhere, chock full of classic and flavored options. You’ll want to try one of their signature margaritas that include orange liquor, triple sec, sour mix, and a splash of Coca-Cola for a unique taste you won’t find anywhere else. This place is known for its fresh guac and amazing margaritas, and it’s easy to see why. With multiple variations to choose from, you’ve got the best of classic, skinny, and over-the-top options. They also offer seasonal options to capture the best flavors of the year, so make sure you ask about what they’re serving up next. This little Mexican restaurant is sure to become your new favorite place for margaritas. Laid back and ultra casual, you can order your favorite flavor by the glass or by the pitcher. It’s also the home of the Grilled Margarita—you’ll definitely want to ask about this one! View more Tennessee Bars and Saloons.